BLOX Differential Collar Kit HONDA - Pann Auto Performance - San Diego largest aftermarket automotive performance parts - What do you drive? 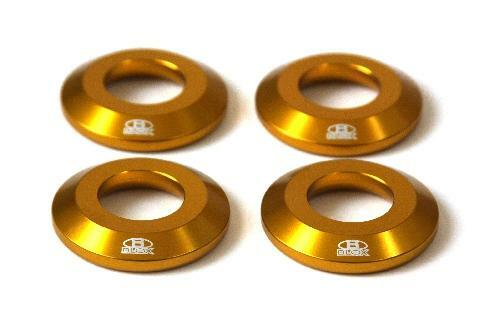 The BLOX Racing differential collar kit for the Honda S2000 helps limit the amount of flex associated with the OEM rubber bushings. These billet, CNC-machined collars are easily installed on the differential mounts and provide better stability and power transfer through the drivetrain.